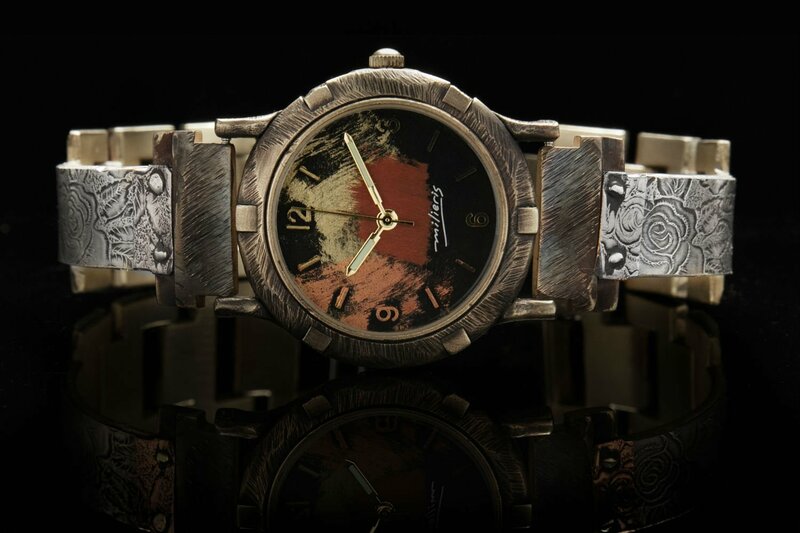 The PNFL3 watch has a hand-painted dial in a distressed and oxidized large round brass case. The narrow brass band has a flowers & leaves design engraved in sterling silver. Copper square pieces at each end completes the design.